We have the knowledge, training and expertise to give you the best, affordable, professional carpet cleaning services in Perth you have ever seen. Simply book with Pride Carpet Cleaning and experience the difference. 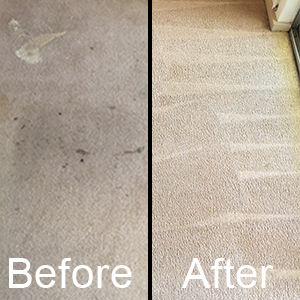 Pride’s professional carpet cleaning process uses steam cleaning to clean your carpets and consists of 4 steps. First we use our industrial vacuum to deep-vacuum the carpet. 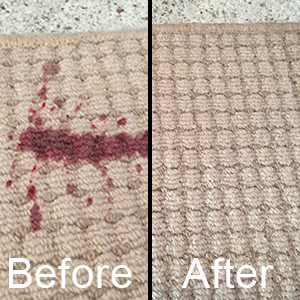 All stains on the carpet are evaluated with our professional carpet cleaning experience and removed where possible. All carpeted areas are then deodorised to ensure a gentle fresh smell. We then steam clean all the carpeted areas including behind the doors, in the cupboards and under the beds . The carpet is cleaned with our professional steam cleaning, no dangerous or harmful chemicals remain after the cleaning process. This ensures that your family, pets and friends won’t have any allergic and asthmatic reactions. This method of professional carpet cleaning is safe on all types of carpet and provides you with the best results in the industry, that’s Pride’s guarantee to you. 1 x Three bedrooms expertly steam cleaned and deodorized for only $100! * if stain removal is required costs are extra and three standard size rooms = 30 square metres (this offer can be used in conjunction with other offers). Professional carpet cleaning prices in Perth may vary depending on carpet condition.